Android One has been rolling out internationally for a bit of time now, and despite not being in as many channels as Google initially intended, the company is still supporting the effort. 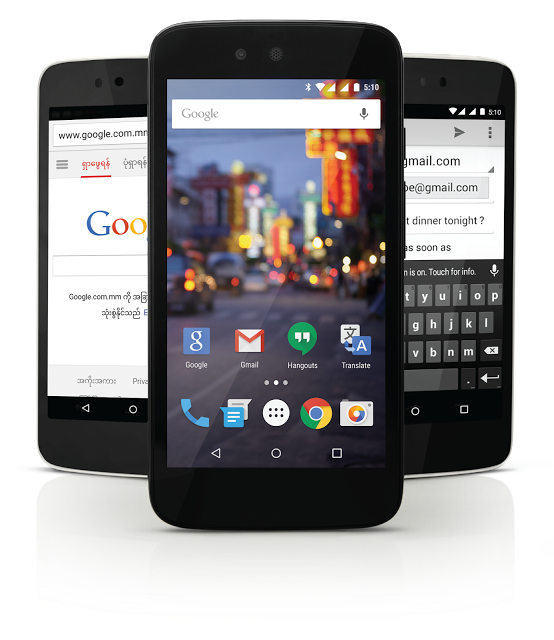 As such, more countries and areas are marked for a future Android One devices, including Myanmar. Announced on June 23, it has been confirmed that an Android One-based smartphone will be launching in the region beginning Friday, June 26. The name of that handset is the Cherry Mobile One, and it will be launched in partnership with Cherry Mobile. The Cherry Mobile One features Android 5.1.1 Lollipop out of the box, and it features a 4.5-inch display, an MTK quad-core processor clocked at 1.3GHz, and a 5MP camera on the back. There’s a 2MP front-facing shooter, the battery’s measured in at 1700mAh, and it has 8GB of built-in storage with 1GB of RAM. The Cherry Mobile One goes on sale in Myanmar on June 26 for Ks109,000. What do you think of the Cherry Mobile One?